Welcome to Good Looking Homes, where we help our clients realize the true beauty and potential of their property. Whether it's a routine deck cleaning or a full backyard conversion, Good Looking Homes quality workmanship is at your service. No longer will your outdoor projects go unfinished. We work within your budget and strive to ensure complete satisfaction in everything we do. 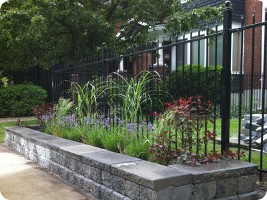 Call us today for a free estimate or design consultation. At Good Looking Homes we believe that planning and timing is key to executing any project. In order to properly manage our clients expectations, we thoroughly involve them in the design process. We are open to all concepts and can create a range of exterior spaces ranging from classic to ultra modern. Our sales team and designers will help you realize your vision and guide you in the design process. Whether you are considering the installation of a new deck or need your walkway extended, no job is too big or small. Our dedicated carpentry and stone working crews will help you transform your property or simply upgrade and improve it. We cater to all tastes and styles and will help you create a warm and inviting space in the front or back of your property. 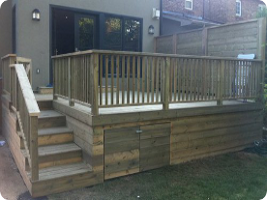 In addition, we offer a wide-range of repair related services such as deck re-facing and interlock re-levelling. For many homeowners one of the most difficult questions is how to properly manage and maintain their property. Quite often, many people will hastily replace a deck, patio or fence when the simplest and cheapest solution is to clean and restore. 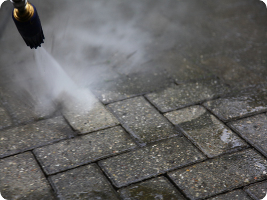 As recipients of the 2011 Homestars Award for Exterior Cleaning, we believe that almost any surface can be brought back to life.